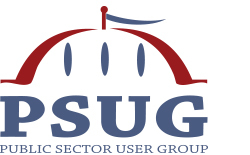 The Southeast Atlantic Regional User Group (SEARUG) which includes Virginia, North Carolina, South Carolina, West Virginia, Georgia, Florida, Alabama, Mississippi, and Tennessee, is a HEUG-facilitated online community. It is used to interact with other higher education institutions in the region who use Oracle applications/technology. HEUG members outside of this region are welcomed and invited to participate in this conference. For Conference Support, email us at regional-support@heug.org or call (602) 734-5356. The Regional Alliance Conferences are hosted and managed by the Higher Education User Group, Inc. The PSUG is a national organization consisting of Public Sector and Higher Education institutions that use application software from the Oracle Corporation. Become a Member today!